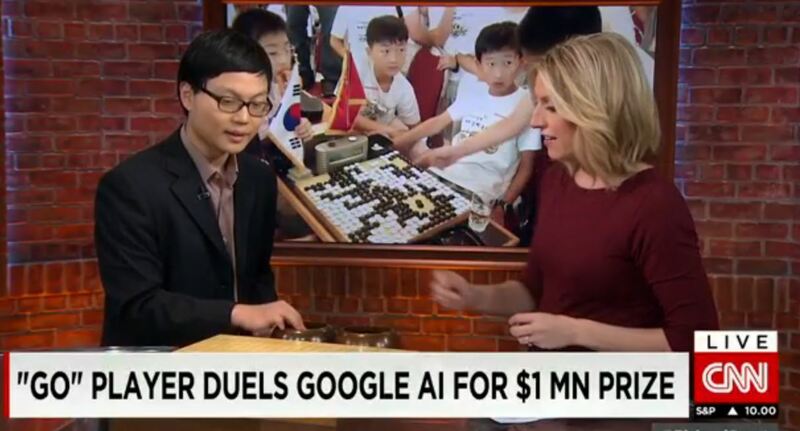 As AlphaGo finished playing the first round of its historic matches against Lee Sedol, news media around the world was reaching out to go organizations around the world. In the US there was a large number of print and internet publications. 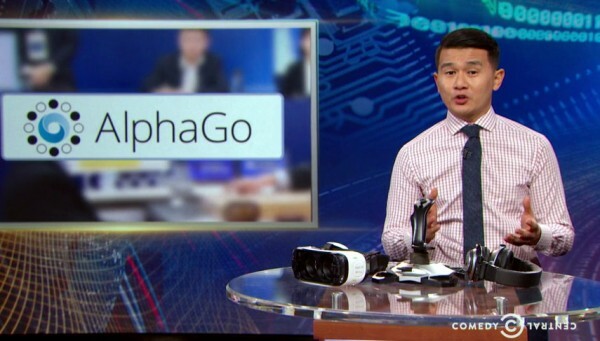 In three cases AlphaGo was talked about on TV for the US. The Daily Show covered AlphaGo and its AI prowess. 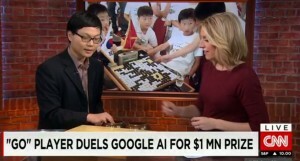 On March 9th Michael Chen met with Poppy Harlow on CNN’s Quest Means Business on CNN International. During the segment they discussed the importance of the match and some basic of the game (Transcript). 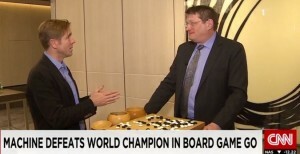 On March 10th Andrew Okun was interviewed by Ivan Watson from CNN International about the second loss from the matches. Okun talks about how far go has come to get to this point (Transcript). Qing dynasty go saint Shi Xiangxia’s masterpiece, Go Fundamentals (Yili Zhigui Xubian), has been translated into English by Ruoshi Sun 4d. Originally published in 1778, the book covers 12 topics, using 257 variations from six different games. Unique to this work, Go Fundamentals includes three poems on go theory. 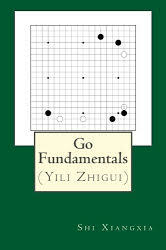 Notably, Shi’s “Guiding Formulas for Important Positions” is seen by some as “one of the most important literary works in go history, not only for its technical value but also for its literary beauty”. To top it off, translator Ruoshi Sun has enhanced Shi’s work by including illustrative examples from the Google Challenge Match between Lee Sedol and AlphaGo to demonstrate “how the profound principles of this great master can be applied even to this day.” The book is available from CreateSpace and Amazon. “I was looking at manga online when I happened across this comic strip style manga called BugCat-Capoo,” writes Taylor Litteral. 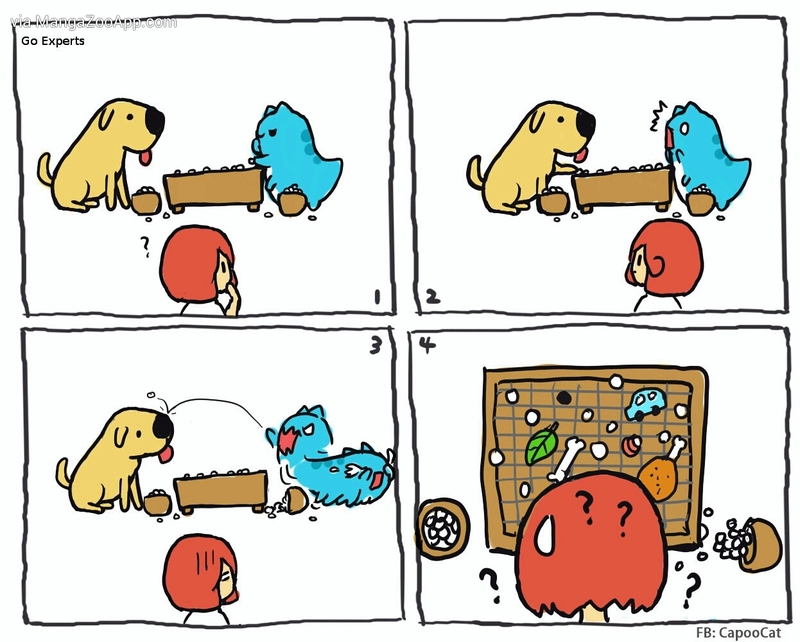 “It’s a very interesting series and had this cute scene of BugCat ‘playing Go’ against his dog friend.” This particular sequence, or chapter, is titled “Go Experts” and portrays BugCat and the dog pretending to play a heated game of go to the befuddlement of their caretaker. BugCat thinks of an impressive move only to realize that it was a mistake when his friend sabotages his plan. He gets mad and throws a tantrum, ruining the game, while his friend calmly watches. To understand how China thinks about its’ rivalry with the United States, one needs to understand the game of go. 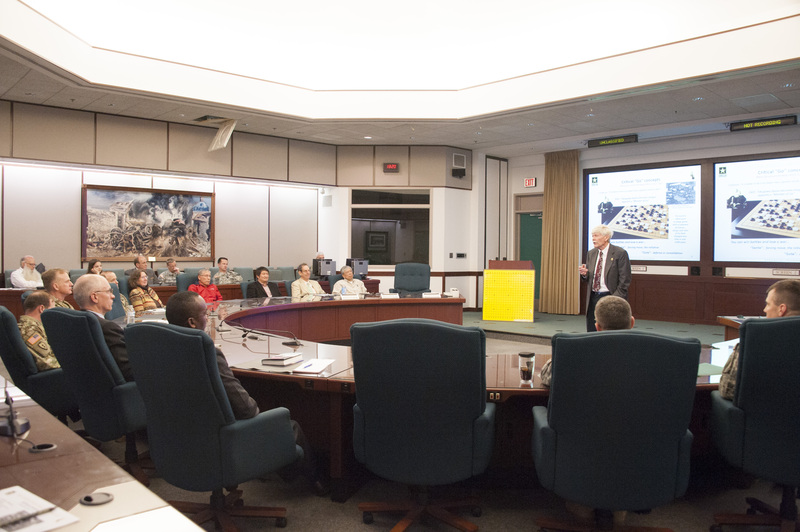 That’s the message Dr. David Lai, a Professor of Asian Security Affairs at the Strategic Studies Institute in Carlisle, Pennsylvania, gave during a half-day seminar on go held March 4 at the U.S. Army War College, also in Carlisle. More than 30 attended, about half of them U.S. Army officers. 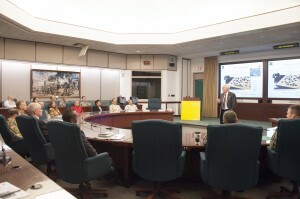 The seminar was the idea of Colonel Jack Pritchard, Chief of the Strategic Wargaming Division of the War College. 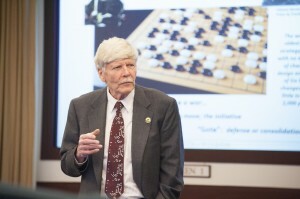 Colonel Pritchard, who had never played go, became intrigued by references to the game in literature on military and political strategy, including a monograph written by Dr. Lai titled “Learning from the Stones: A Go Approach to Mastering China’s Strategic Concept, Shi” as well as Lai’s recent article “China’s Moves and Countermoves in the Asia Pacific,” Parameters, Spring 2015. 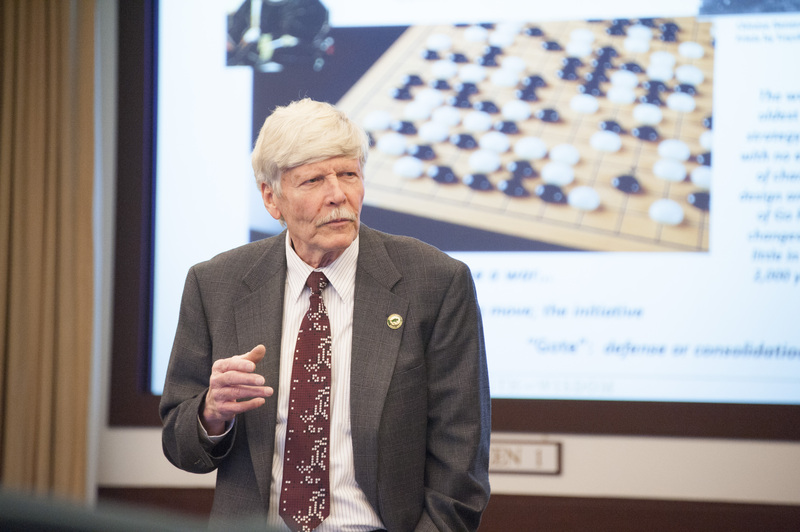 Col. Pritchard asked a member of his staff, Lieutenant Colonel Donald Travis, to organize a seminar that would introduce the game to other officers and civilians closely associated with the War College and affiliated programs. LTC Travis, who has played go with the Carlisle Go Club, planned the event in consultation with Lai and two other Carlisle go players, Dr. Howard Warshaw and Dr. Fred Baldwin (above, right). The result was a four-hour session, divided between lectures and actual play. Dr. Baldwin opened with a brief history of go from its Chinese origins to the present, emphasizing its appeal to strategic thinkers. 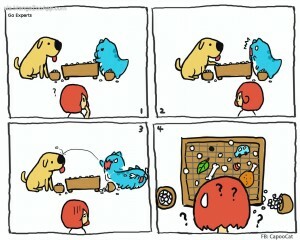 Then, Dr. Lai applied go concepts more specifically to Chinese geopolitical aims. Dr. Warshaw followed this up with an explanation of the rules of go and fielded questions on go basics, including capturing, life-and-death, and scoring. During the second half of the seminar, the officers and other go neophytes played against each other on 9×9 and 13×13 boards, during which Warshaw, Baldwin, Lai and four other frequent Carlisle-area players were available to answer questions. Warshaw and Baldwin noted that the officers grasped the basics quickly, especially considering that none of them had ever played the game before. The War College is the Army’s version of graduate school for senior officers, those at the rank of Lieutenant Colonels or Colonels. Speaking from a War College perspective, LTC Travis remarked that Col. Pritchard and he considered the seminar a success. He also indicated that it may be possible to incorporate an introduction to go into the school’s academic curriculum on a more systematic basis. 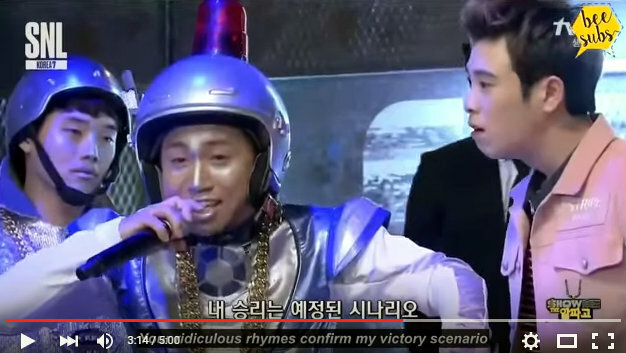 From SNL Korea “AlphaGo” participated in a rap battle vs Block B last weekend. Can AlphaGo master freestyle rap the way it mastered go? Click here for Show Me the AlphaGo Part 1 and Show Me the AlphaGo Part 2. The Irish Confucius Cup took place from the 4th to the 6th of March, at the Gresham Hotel in Dublin. A field of 44 players took part in the go competition, whilst separate Xiangqi and Chess competitions ran alongside in parallel. The field was very strong, with European professional Mateusz Surma (1-pro) in attendance, alongside the veteran height of Cristian Pop (7-dan). 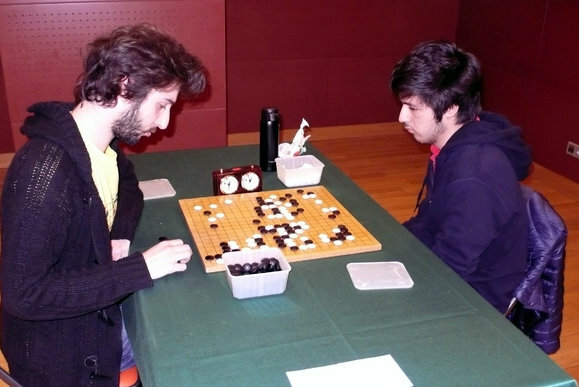 Visiting on the first leg of their European go holiday were former korean insei Jinwon Chae (7-dan) and the eventual winner Oh Mingyu (7-dan). Surma took second, with Pop taking third on tiebreak from Chae. Winner of the Rapid tournament was Piotr Gawron (4-kyu). The generous sponsorship allowed Ms Shuang Yang (5-pro) to visit and to give commentary to all the players, which was very much appreciated. At the beginning of March the Go players of the Ile de France region were faced with a difficult choice: a weekend of quiet contemplation before the debut of the AlphaGo – Lee Sedol match, a plane trip to Dublin and the Confucius Cup, or a ride on the Paris Metro to the Levallois tournament. As with previous years, the tournament was held in the in the College of Anatole France, beside the metro station of the same name. 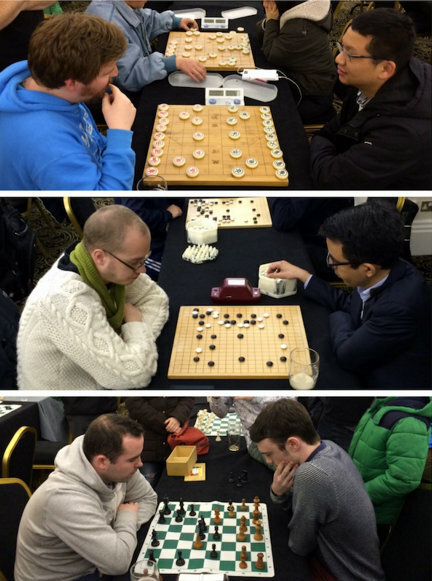 71 players, ranging from 25-kyu to 6-dan, took part in 4 rounds of competition. They came not just from Ile de France, but from distant and intriguing lands such as Italy, Luxembourg, and Auvergne ( where, just so you know, they even have black cathedrals). Also of note was the fact that this year there was a relatively high number of female players – almost 10% of the field. Reigning champion Junfu Dai was unable to defend his title, which left Kenzo Meier (6-dan) of Paris Ouest the favorite. 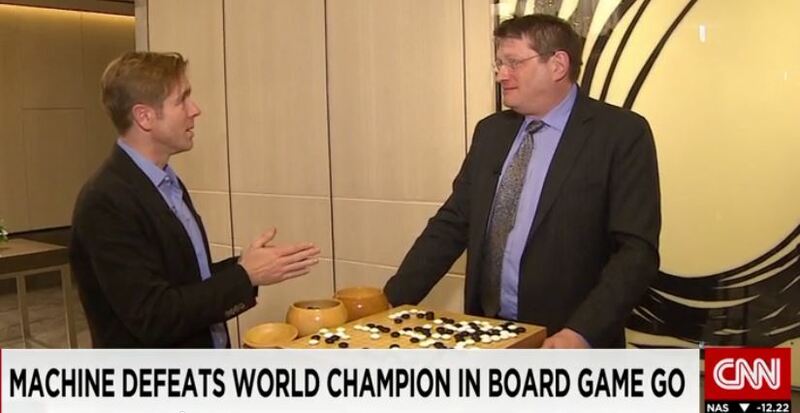 Indeed, he made short work of his opponents, finishing with a flawless score of 4/4. The Italian Alessandro Pace (4-dan) finished in second with 3/4, ahead of Mathieu Daguenet (3-dan) on SOS. Let’s hope that the great atmosphere will be repeated next year for the 20th edition! The AGA has received a request to send a young North American (US or Canadian) player to Hangzhou, China, for the new Li Min Cup World Best Go Star Championship Finals in mid-October. The tournament format will be a single elimination knockout of the final 32 players. The organizers will provide food and lodging, and travel expenses of up to 10,000 RMB. Eligibility: US/Canadian citizen born after Jan. 1, 1993 (must meet AGA’s/CGA’s eligibility requirements too). Interested players should respond before midnight April 3rd. If there are multiple interested players, a quick single elimination play-off may be held based off of ratings on the April 9/10 weekend. If interested, email cherry.shen@usgo.org with your KGS ID, best form of contact, AGA ratings. Please confirm in the email that you are born after Jan. 1, 1993. Li Zhe 6P on the AlphaGo-Lee Sedol Match: The Massgoblog has published three articles by Li Zhe 6P on the recent AlphaGo-Lee Sedol match. The former National Champion of China scored seven consecutive wins in the 2007 Chinese Weiqi League A, including wins against Lee Sedol and Gu Li and in 2013 made the top four in the LG Cup. He’s currently studying philosophy at Beijing University. The essays are Lee Sedol’s Strategy and AlphaGo’s weakness; Nobody could have done a better job than Lee Sedol and Before Game 5. Translation by Yi Tong, Michael Chen and Chun Sun. Andy Liu 1P topped the March 19 Boston Spring Open 2016 Go Tournament, held at the Microsoft New England R&D (NERD) Center. Jie Liang 7d took second and DH Yun 5d was third. 54 players participated. 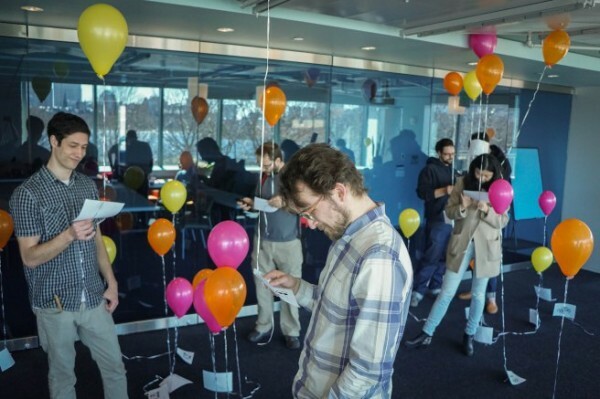 The tournament also featured “echo-friendly drone technology” (aka balloons) to set up life-death problems. “A Ph.D candidate in Physics major from MIT concluded that the more difficult the problem is, the more weight it will have, hence the balloon will fly lower,” reports Chun Sun. “Many players agreed to her theory.” Complete report, results and more photos here.